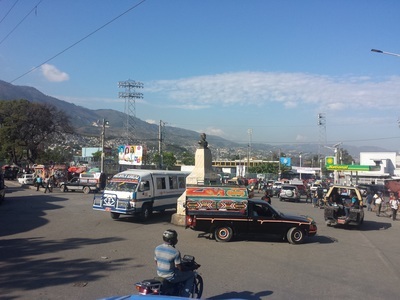 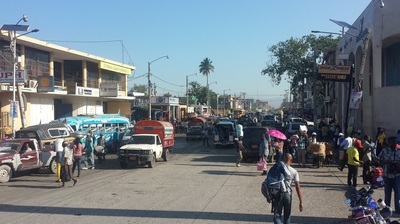 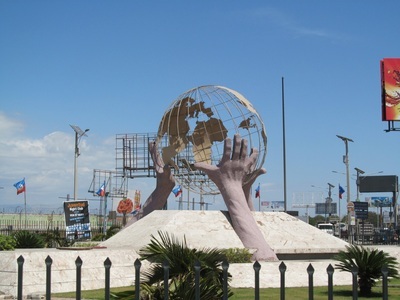 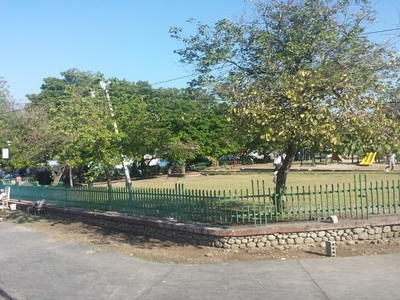 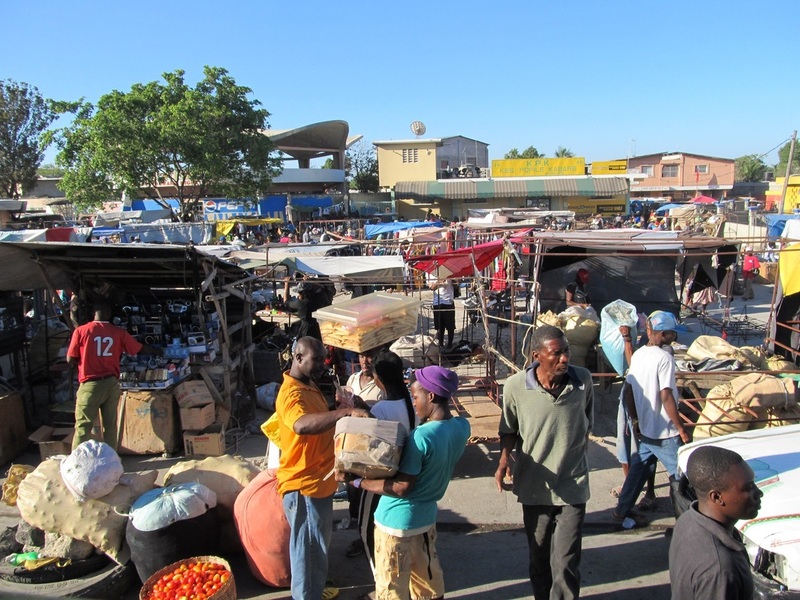 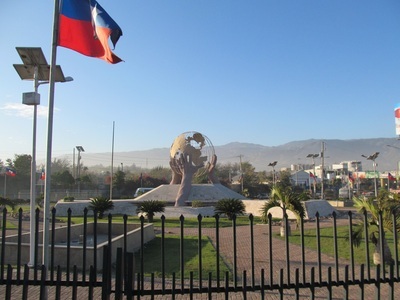 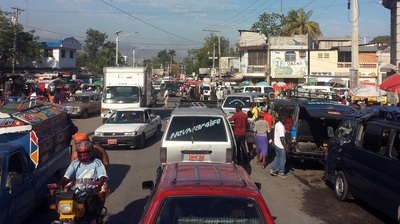 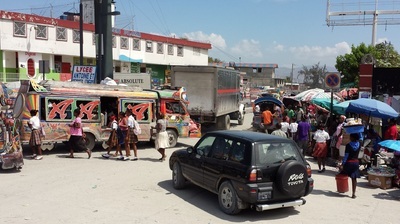 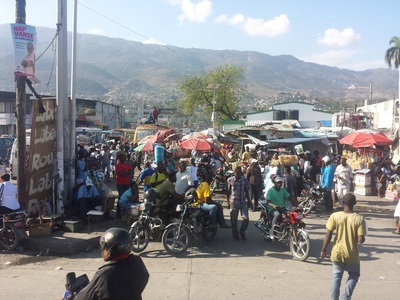 Port au Prince has a population density of 39,120 persons per square mile. In comparison, Whitehorse has a population of 145 per square mile (according to Wikipedia). 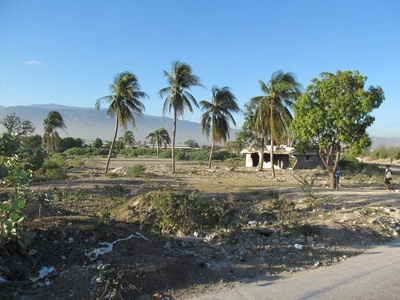 That puts it 270 times more densely populated than Whitehorse. 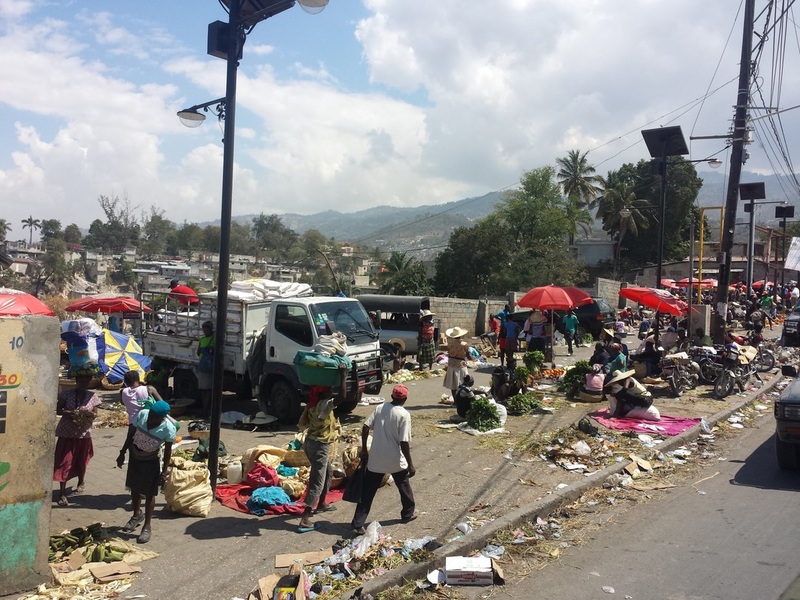 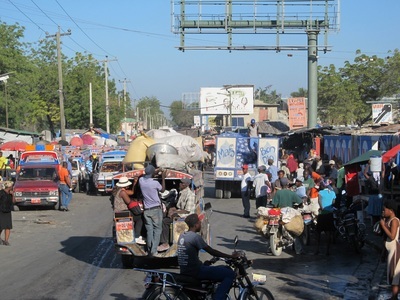 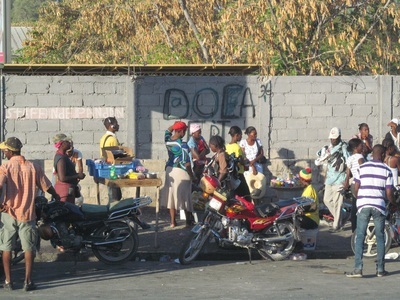 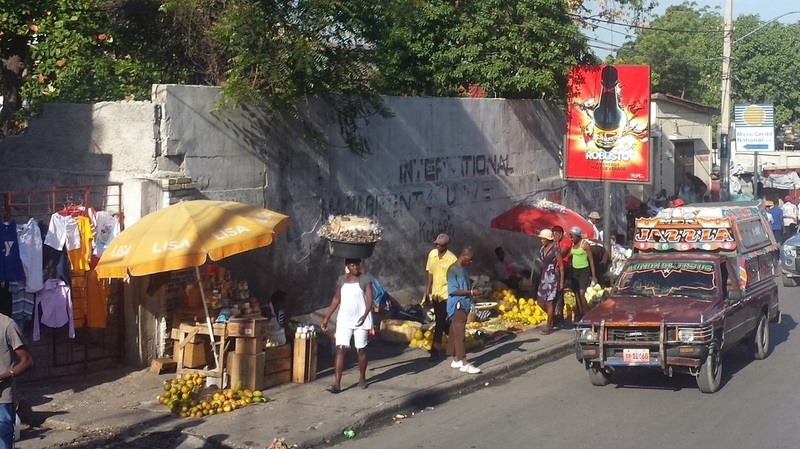 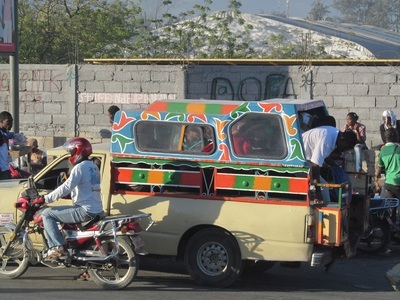 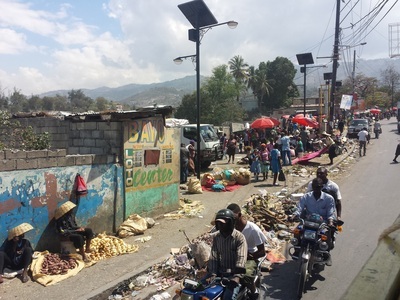 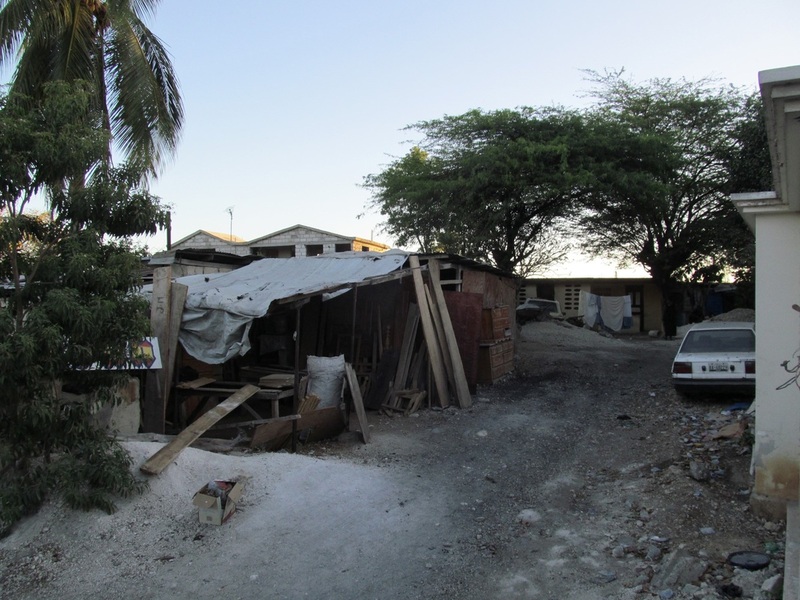 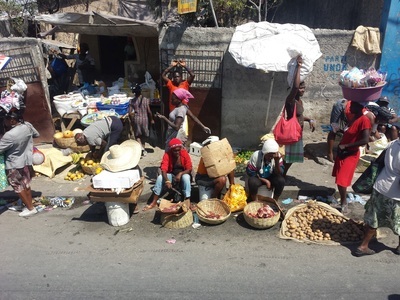 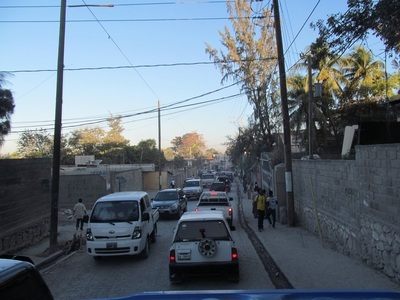 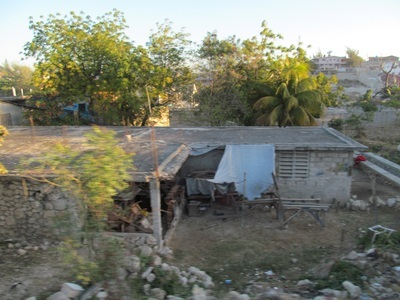 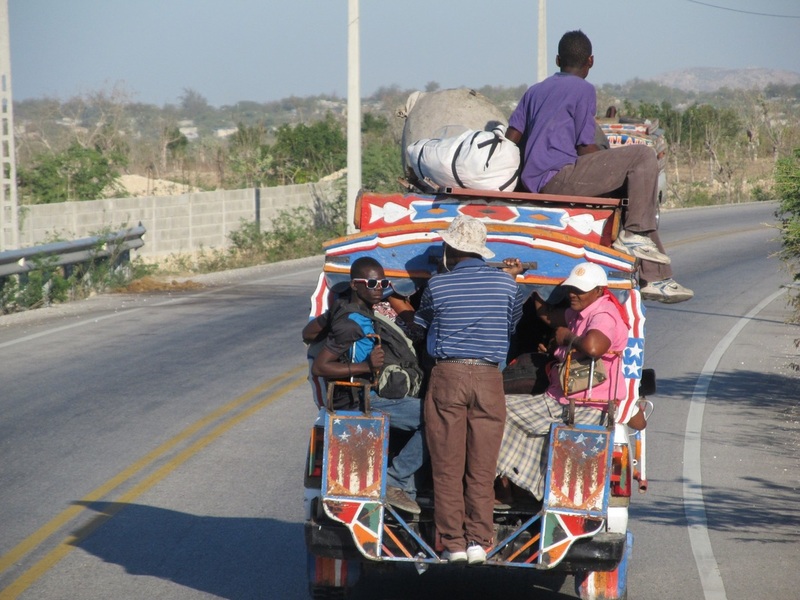 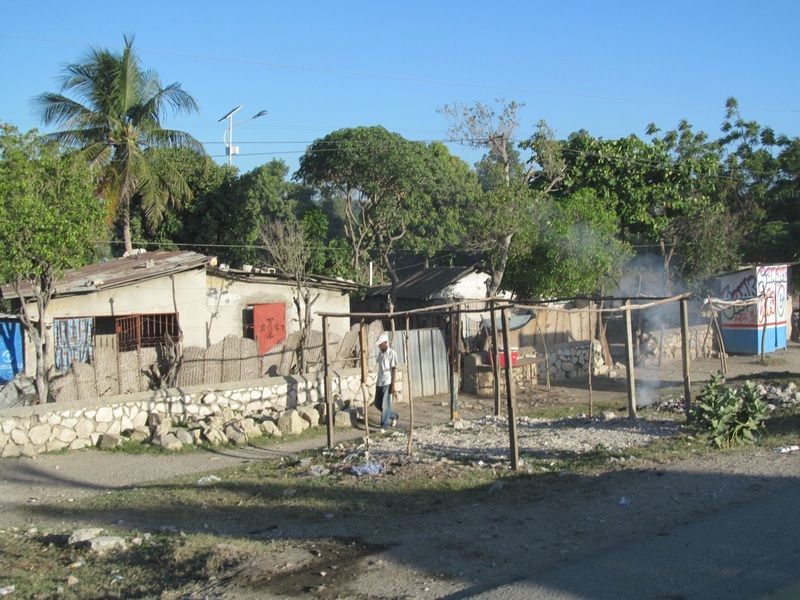 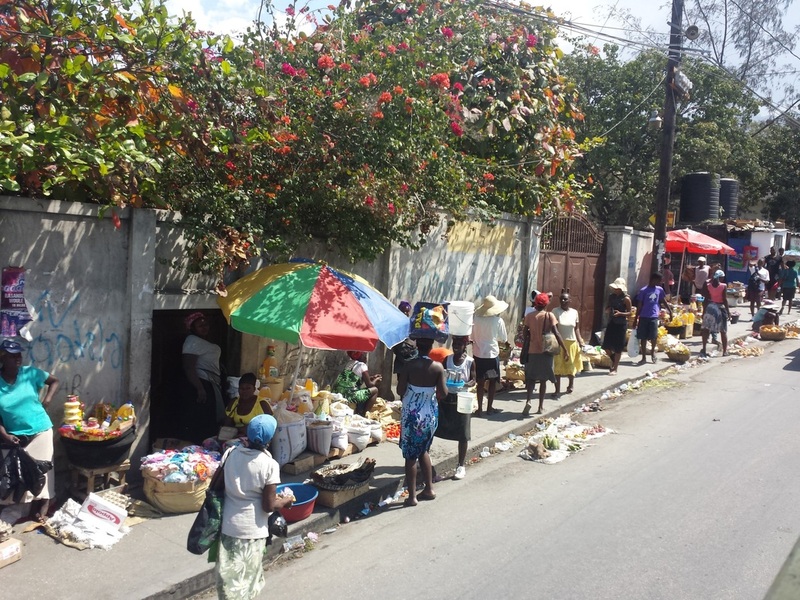 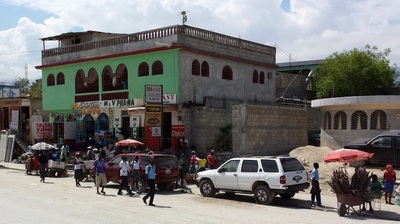 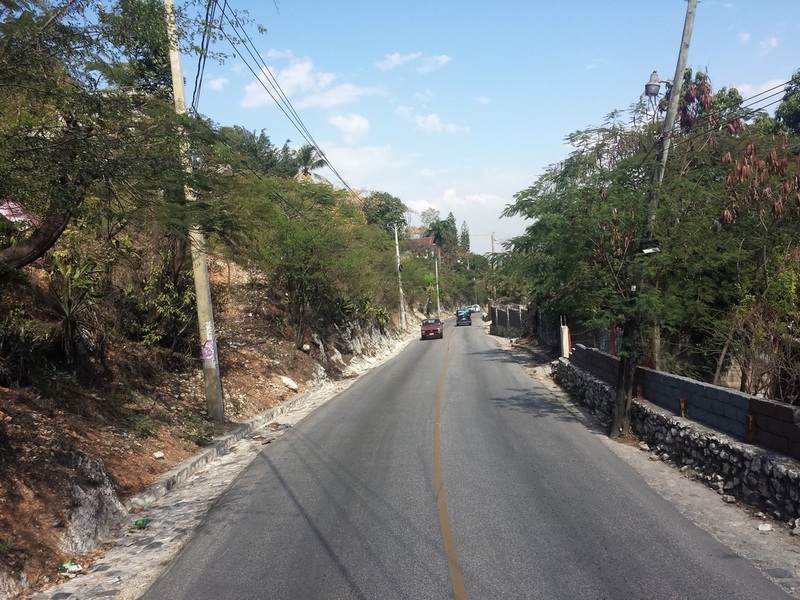 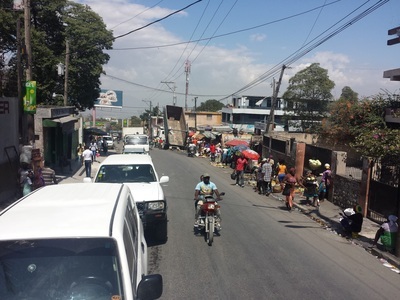 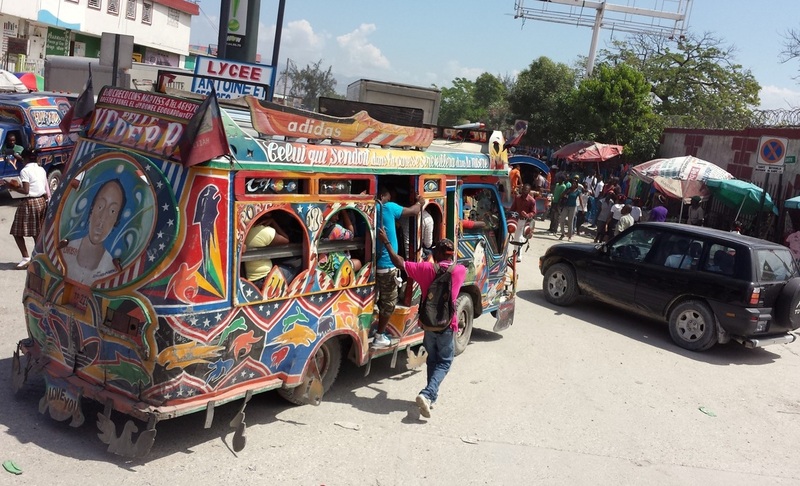 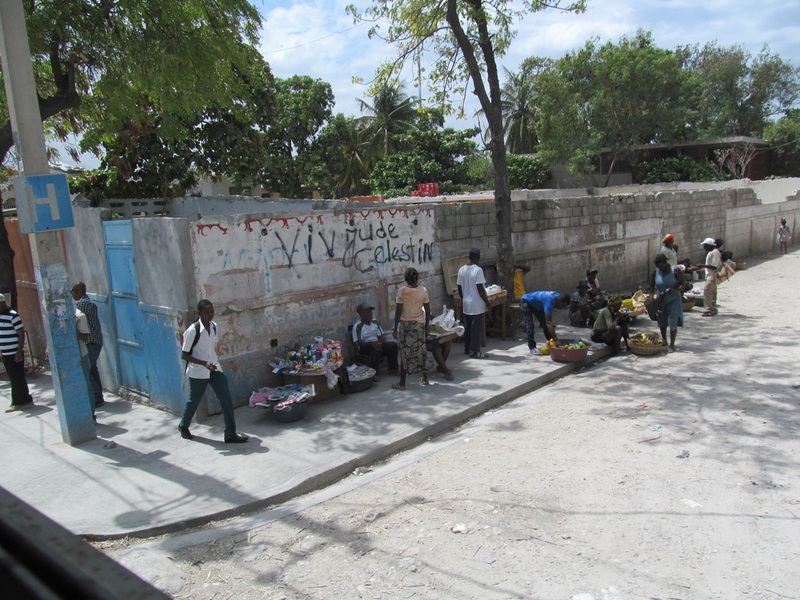 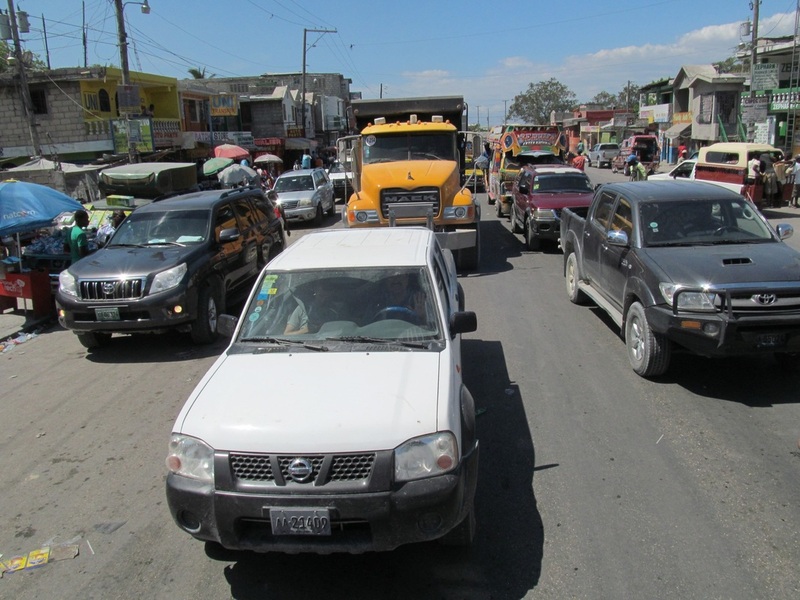 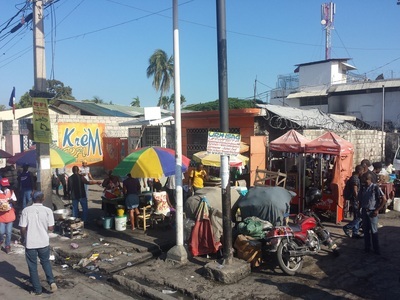 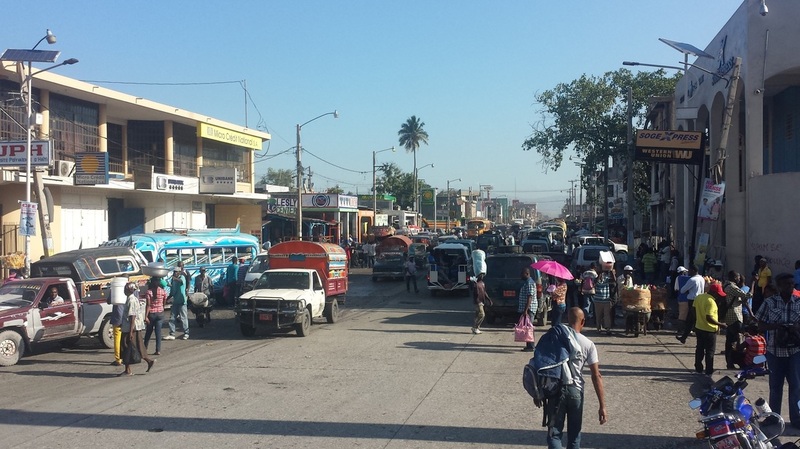 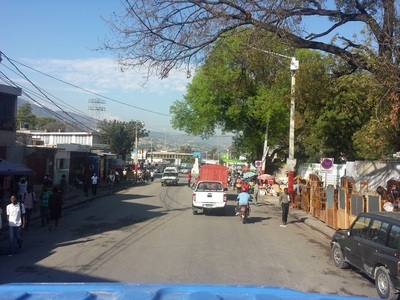 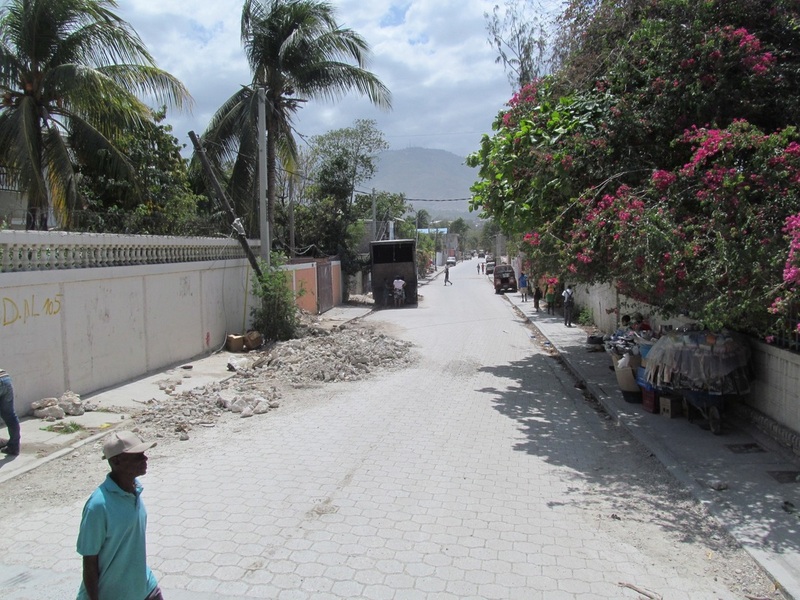 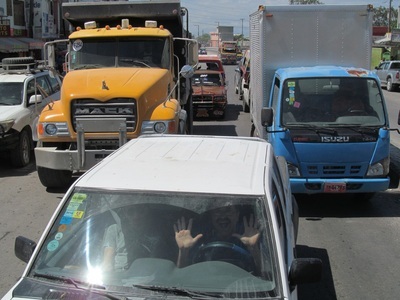 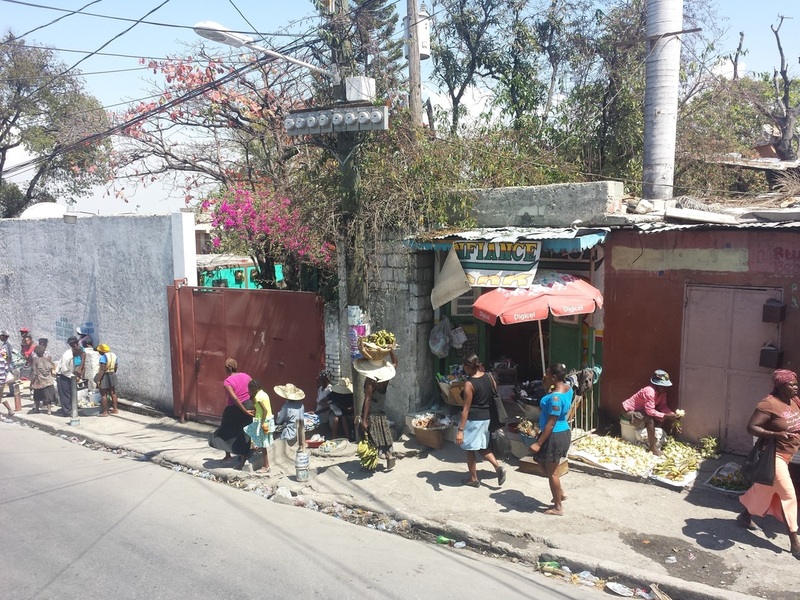 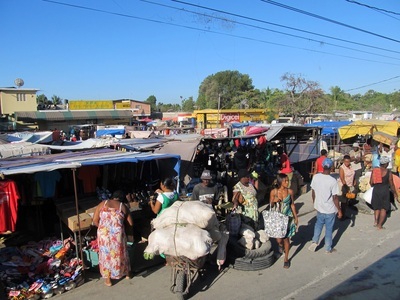 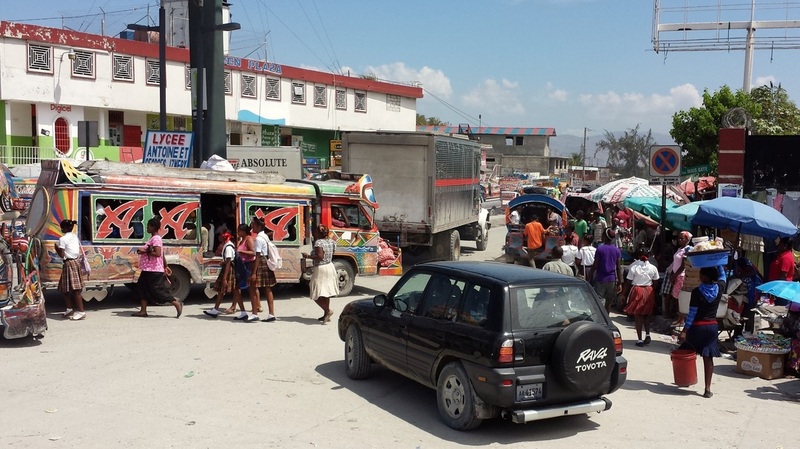 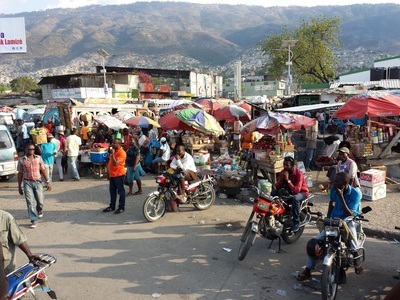 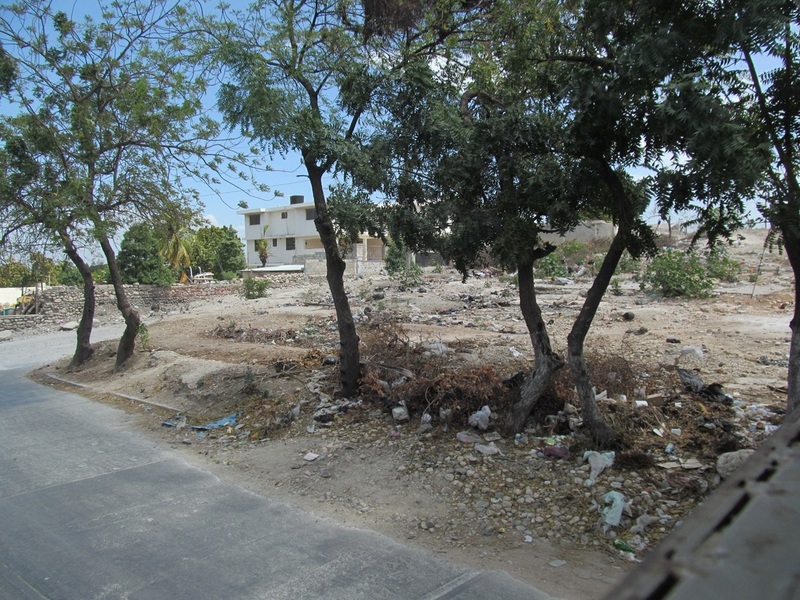 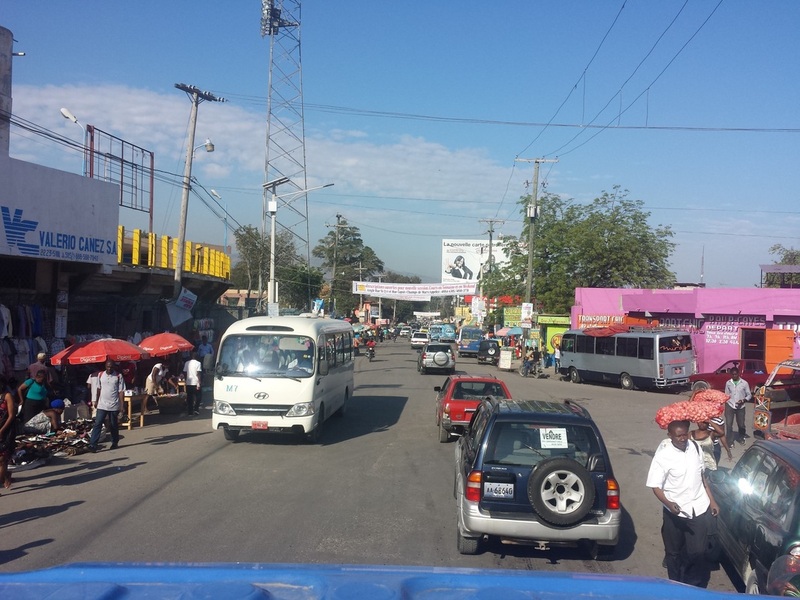 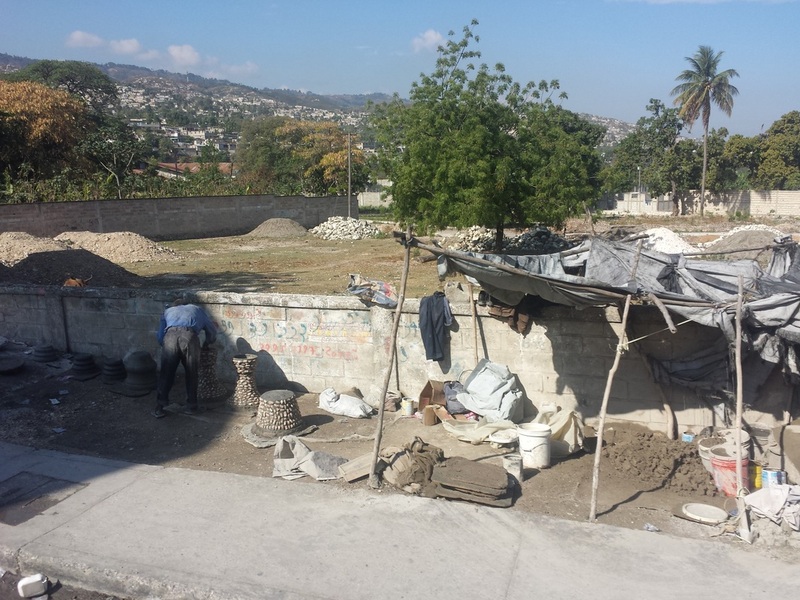 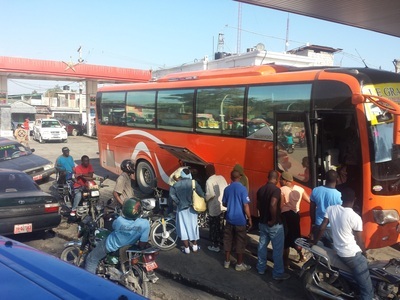 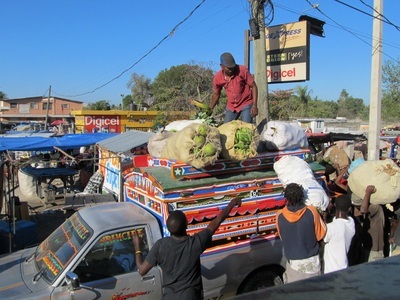 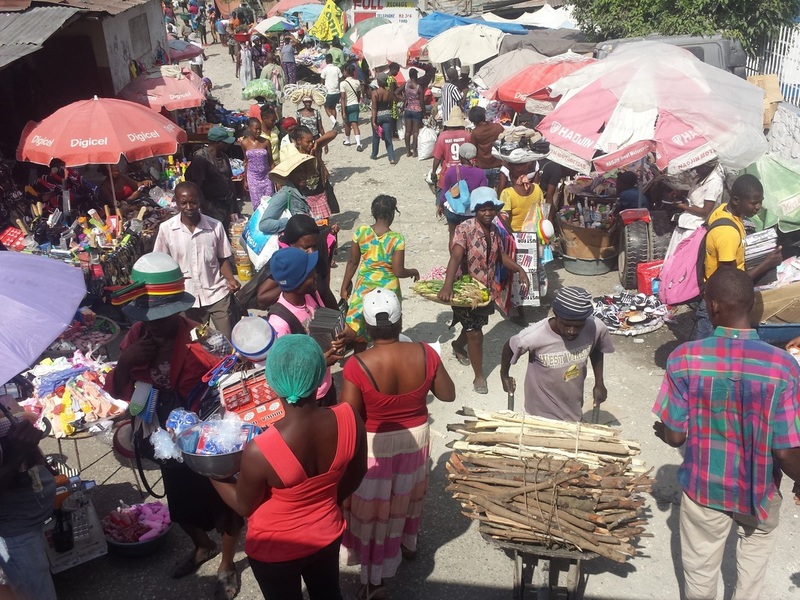 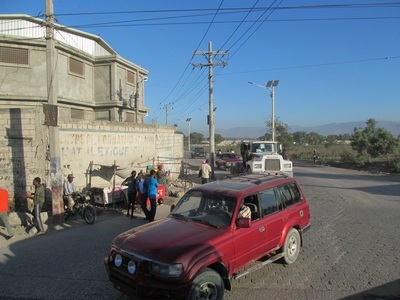 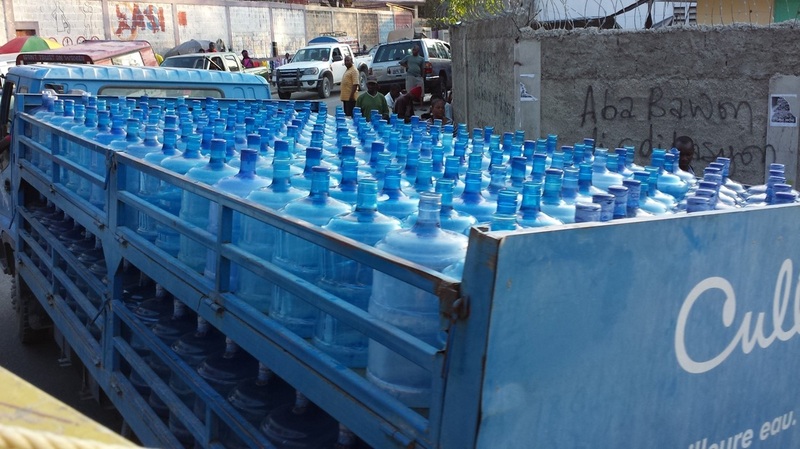 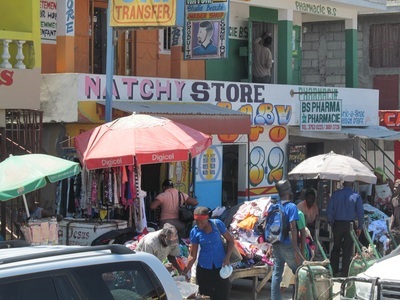 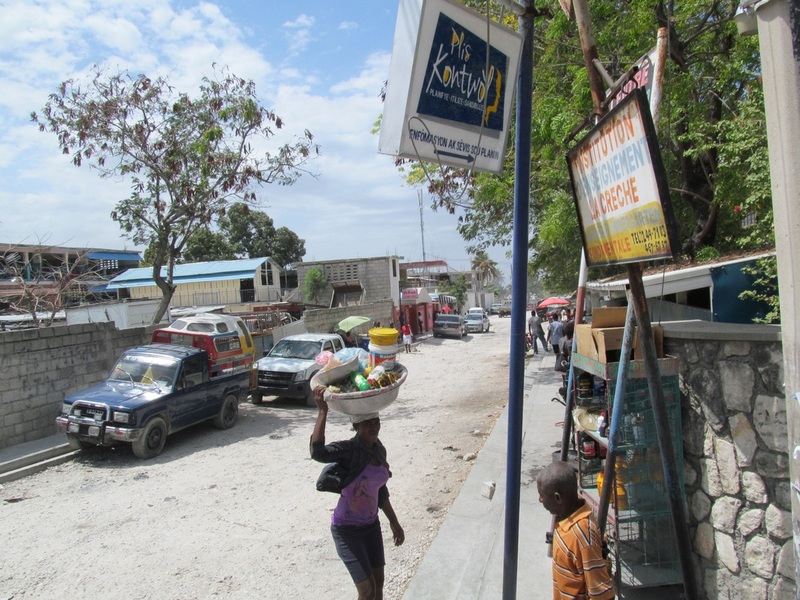 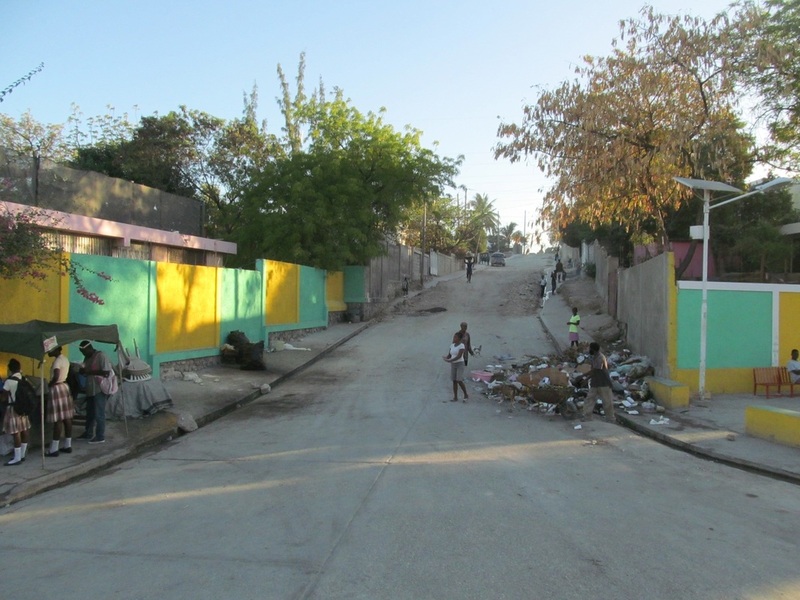 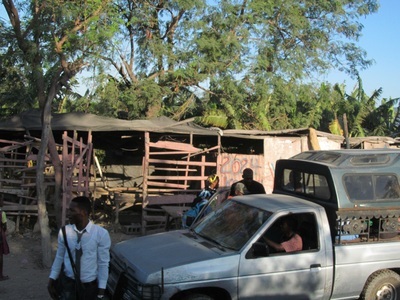 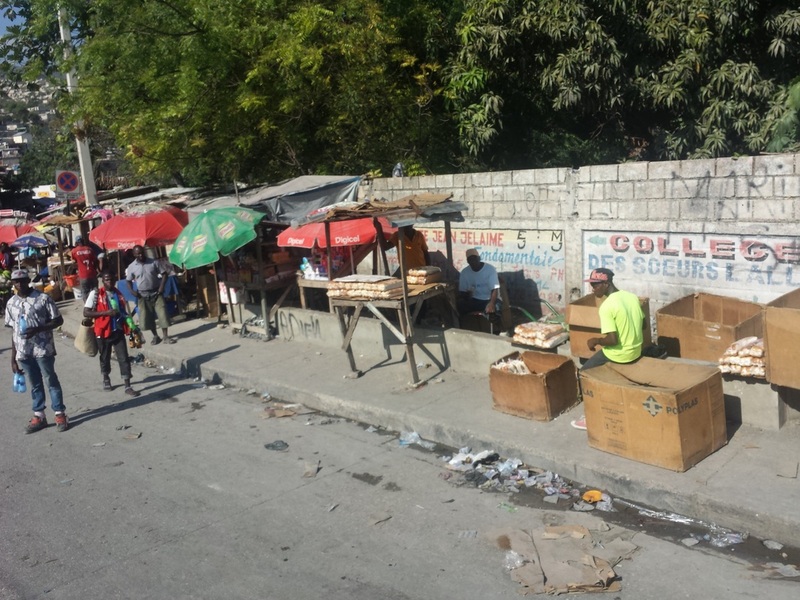 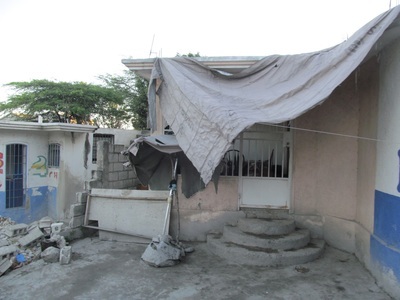 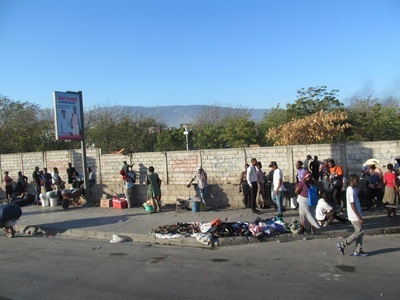 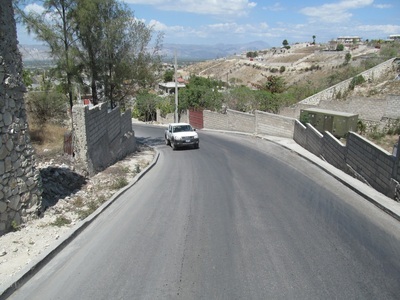 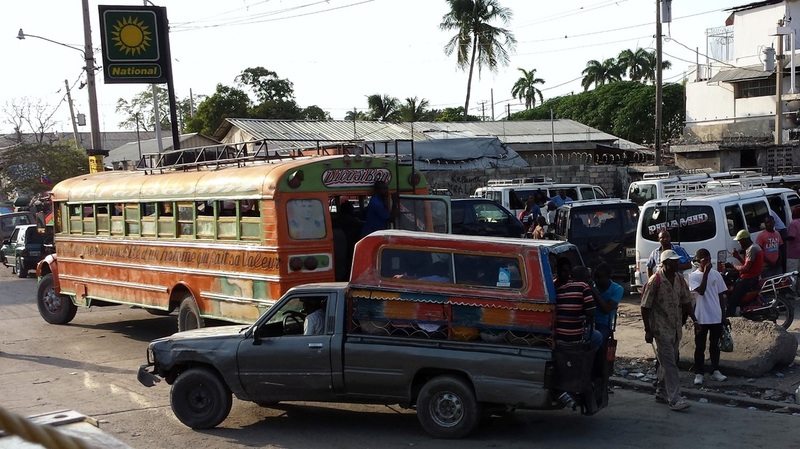 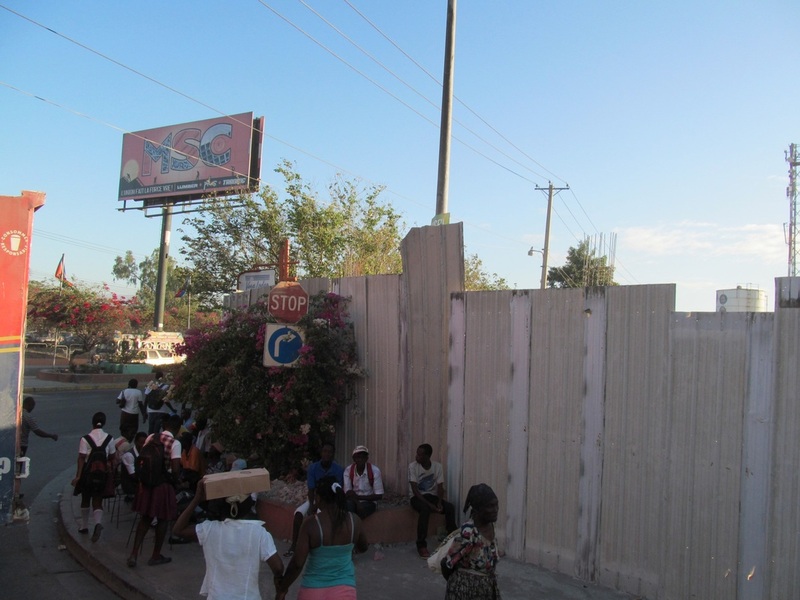 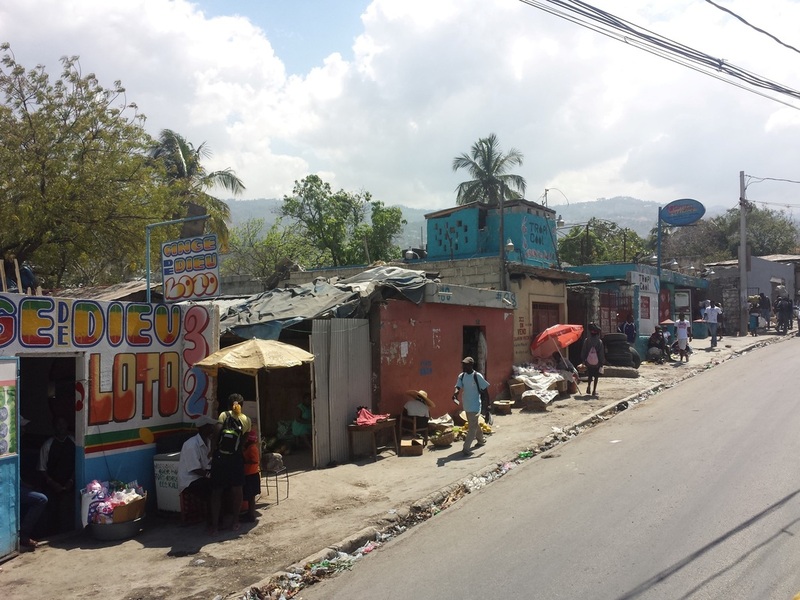 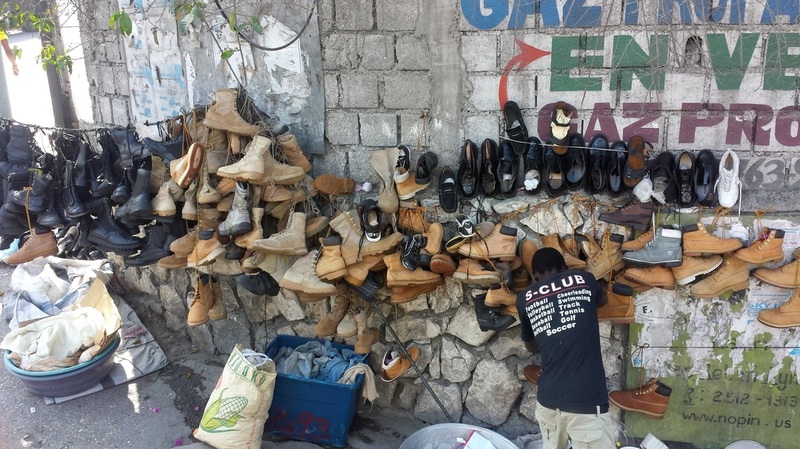 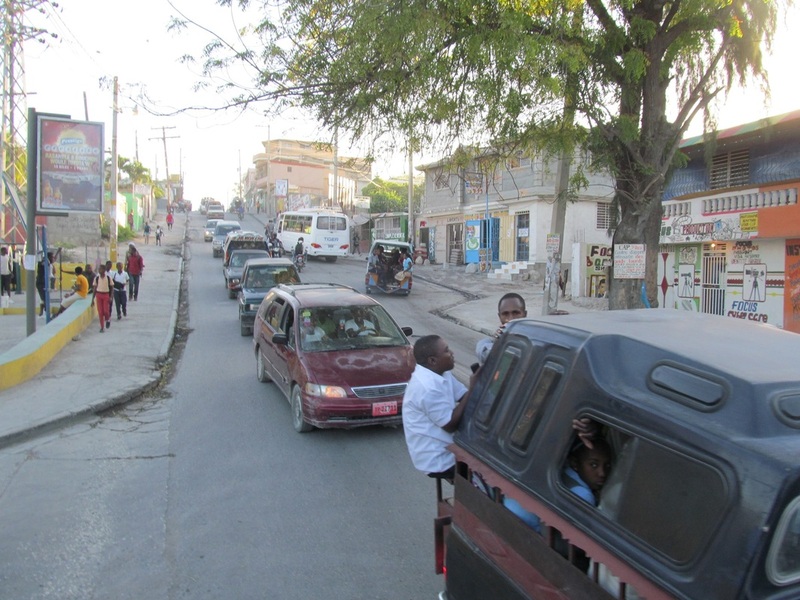 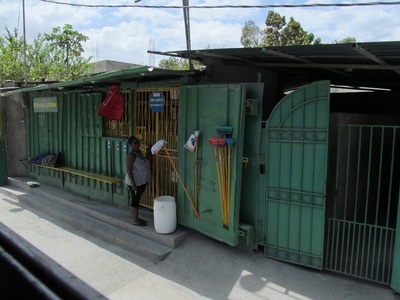 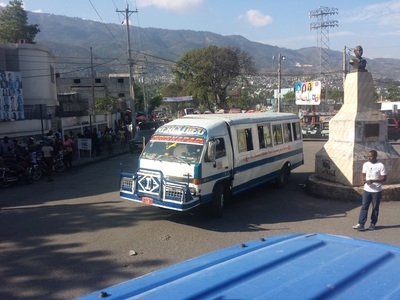 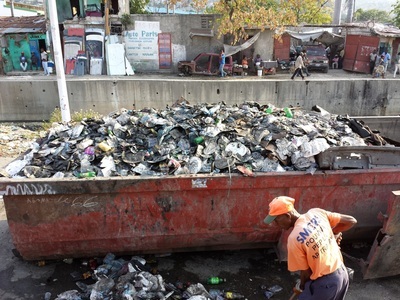 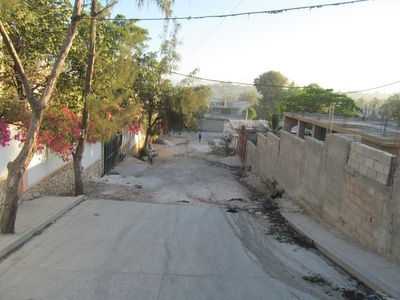 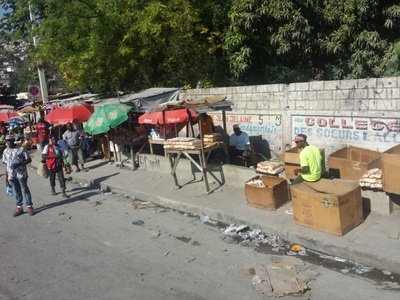 The sights, sounds, and sometimes smells of Port-au-Prince were very evident. 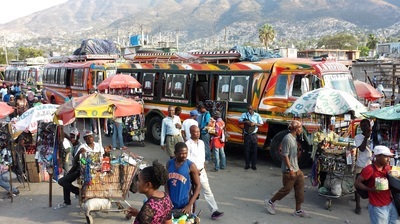 There was no such thing as a single colour bus. 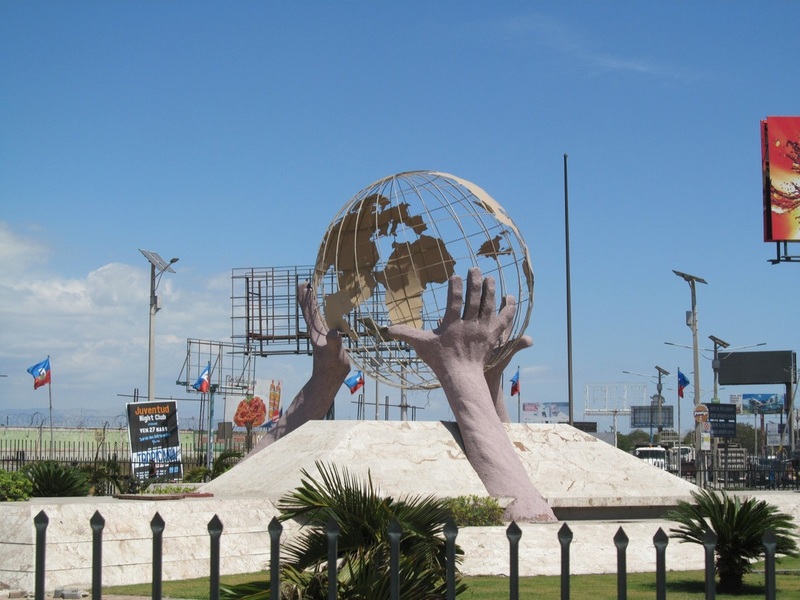 It didn't exist. They were all painted in all manner of colour and decoration. 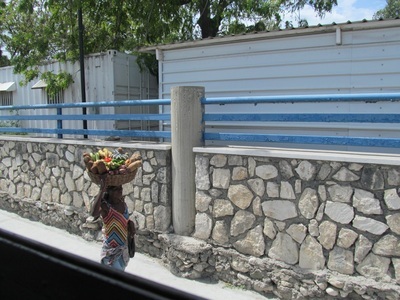 Made for very interesting sights. Busses and tap-taps (kind of a taxi service but think "back of pickup truck crammed with as many people as possible") were everywhere.